The day Lamby was born, she was already an orphan. Her mother had mastitis, a painful infection in the breast tissue, and so she refused to care for her. Sensing that she was unwanted, Lamby ran away and wandered into the yard of the family next door. 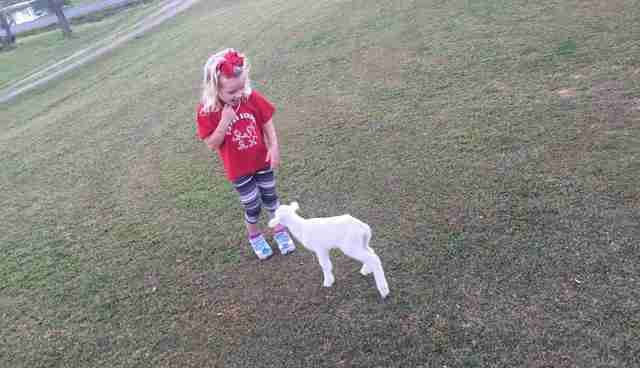 Stacie Elam and her family found Lamby tangled in some brush in their yard, and assumed she had wandered in from the farm next door. 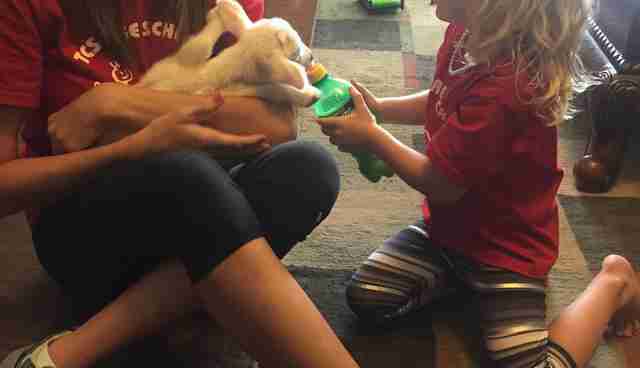 After speaking to her owner, who told them the situation, they decided to give Lamby the ultimate gift: a new family. Lamby had to be bottle fed every four hours, but Elam did not mind in the least. "She is happy, healthy, growing beautifully and hopping around playing with my daughter and I," Elam told The Dodo. 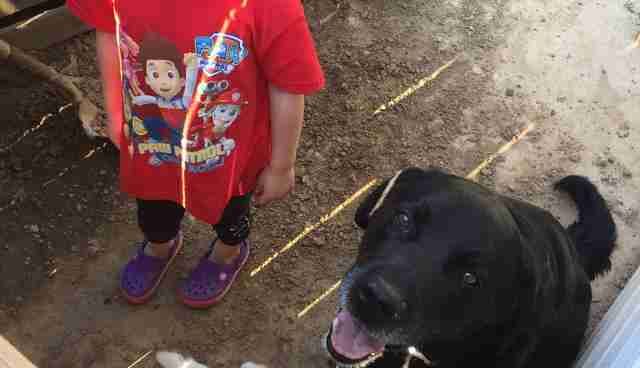 Since joining the Elam family, Lamby has formed a special bond with Jeslyn, Elam's 3-year-old daughter, and Sammy, the family's black lab. 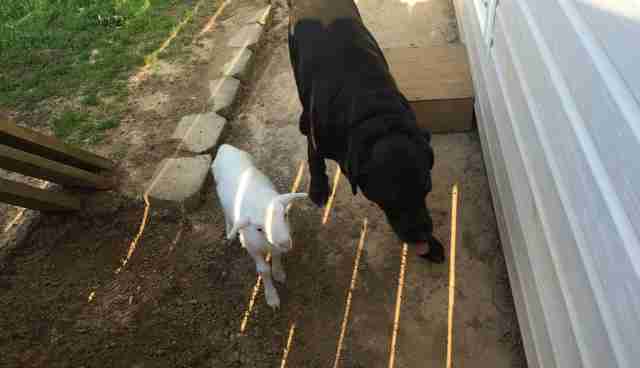 The three friends love to play together, and Lamby is getting all of the love and attention she never would have gotten in her old life. 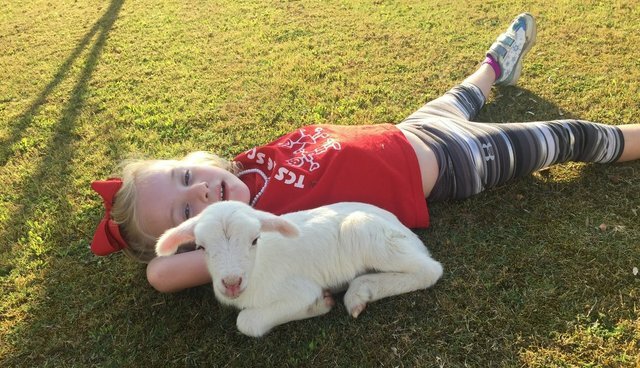 Thanks to the Elam family, Lamby is growing up loved. "She follows us everywhere we go," Elam said.